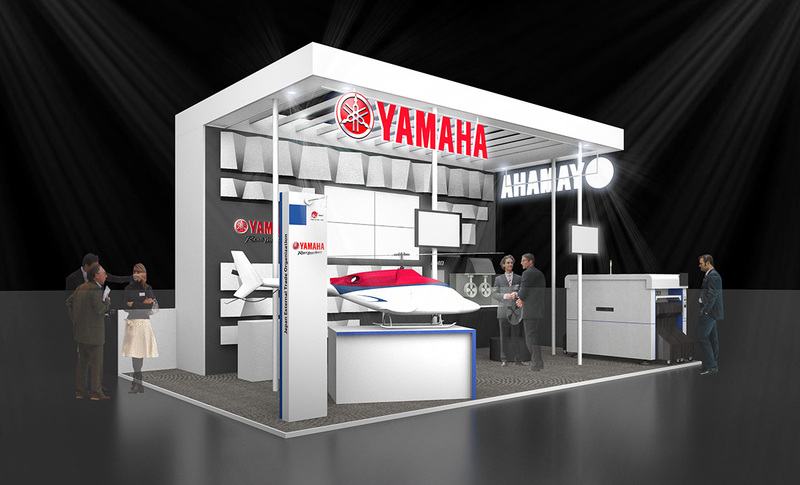 Yamaha Motor Joins CeBIT 2017 as Exhibitor - Displaying products demonstrating electronic control technology engineered to move and inspire people - News Releases | Yamaha Motor Co., Ltd.
IWATA, March 14, 2017— Yamaha Motor Co., Ltd. (Tokyo: 7272) will enter the CeBIT 2017 event running for the five days of March 20 to 24 in Hannover, Germany as an exhibitor. On display will be Yamaha’s Z:LEX YSM20 surface mounter, the FAZER R G2 industrial-use unmanned helicopter capable of automated flight and the HARMO electric boat propulsion system, all aimed at demonstrating how Yamaha uses original and innovative concepts, outstanding technologies and design that expresses Refined Dynamism to create high-quality products and high-precision control technologies engineered to move and inspire people. CeBIT 2017 is one of the world’s biggest international IT trade shows and conferences for B2B solutions utilizing cutting-edge technology such as the Internet of Things (IoT), big data, artificial intelligence and robotics. The show attracts people from Germany and all over the world seeking new business deals or to create IoT-related business models in a wide variety of industries. For the 2016 show, some 200,000 people visited the venue to see displays from around 3,300 exhibitors. CeBIT chooses a “Partner Country” every year and this year, Japan was selected for the first time. Of the three concept zones comprising the massive Japan Pavilion, the Yamaha Motor booth will be located in the Infrastructure/Factory Zone. With our Intelligent Factory*4 integrated IoT/M2M system, all data management and sharing is done through networks to enable uniform management even on a companywide scale, from individual machines and production lines to the entire factory, thus helping to boost total production efficiency and quality. A robot for mounting various electric/electronic components on the printed circuit boards (PCBs) used in things like smartphones and automobile electronics. Based on Yamaha Motor test results when the product was announced in May 2014. Indicates the optimum conditions when testing mounting speed for a surface mounter with a 2-beam, 2-head layout. Chips Per Hour: Total number of chips that can be mounted per hour (unit time). Indicates processing capability under various conditions. 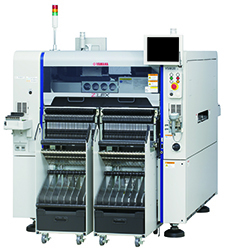 A system combining various support systems and software to improve production efficiency and quality by taking advantage of Yamaha’s expertise as a comprehensive manufacturer of SMT assembly machinery, such as surface mounters, solder-paste printers, dispensers and inspection systems. 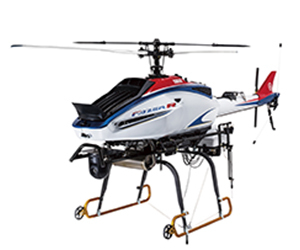 Based on Yamaha’s industrial-use unmanned helicopter (drone) for use in agriculture, this unmanned helicopter is equipped with a system to enable fully automatic flight, and mounting points for additional gear like photo/video equipment and data measurement devices, allowing for uses like surveys and observation, surveillance and photography and transport. After takeoff, a pre-programmed flight route can automatically take the craft beyond the range of human sight into uninhabited areas and the like. The helicopter’s performance numbers include a maximum payload of 35 kg, maximum operating altitude of 2,800 m and a range of 90 km. This is a concept model for a motorboat propulsion device that uses an electric motor with a built-in control unit and steering system. With internet connectivity in mind, it is an example of a search for new possibilities in electric propulsion.